The book gives details for determining slope drainage, doing the grading, complying with street drainage requirements, and dealing with lots with septic systems. Many types of retaining wall are covered, including modular unit walls, bin and crib walls, and more. This practical manual covers every aspect of stucco design, construction and repair. Build artistic custom concrete floors, cabinets, countertops, sinks, dividers, fireplaces, mantlepieces and more. You'll learn how to custom design, pour, finish, and seal one-of-a-kind custom interior and exterior floors. Includes information on admixtures, crack control, custom finishes, self-leveling compounds, and reinforcement techniques. Shows how to apply inlays, linework, and stamps and finishes to concrete floors. Explains how to create custom concrete countertops and sinks. Concrete Principles provides comprehensive coverage of current practices used in the concrete industry. Step-by-step placement, consolidation, and finishing procedures for flatwork and structures are featured, as well as formwork and reinforcement requirements. Applicable OSHA regulations and ANSI and ASTM standards are cited throughout. An overview of concrete composition, analysis and testing, factors affecting concrete quality, basic math fundamentals, and concrete cost estimating are also included. Form and pour a solid foundation. Install concrete piers and footings. Lay groundwork for patios and decks. Waterproof a basement and keep it dry. A must-have reference for contractors who want to remain competitive, , Green from the Ground Up is also a remarkable resource for homeowners who require the clearest and most thorough green building information available. This is the revised edition of the popular manual, with updated information on everything from on-site preplanning and layout through the construction of footings, foundations, walls, fireplaces and chimneys. There’s an added appendix on safety regulations, with all the applicable OSHA sections pulled together into one handy condensed reference. There’s new information on concrete, masonry and seismic reinforcement. Plus improved estimating techniques to help you win more construction bids. Updated with the very latest developments in the masonry trade, this book starts by introducing basic work principles, such as working with materials, bonds, brick, and concrete block, and progresses to advanced work such as building fireplaces, arches, and more. Within this wide range of coverage, readers have the opportunity to learn the skills necessary for a successful career in masonry. This revised edition includes emerging masonry technology and concepts that are relevant to today's masons, like SPEC MIX mortars, Mast Climbing Scaffolds, new corner pole projects, and new information on decorative concrete. 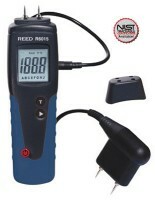 An advanced user interface makes the MT6 the easiest metal finder ever. Find metal up to 6 inches (154 mm) deep through solid concrete or find pipes and junction boxes behind tile—before you ruin expensive drill bits or saw blades. It automatically differentiates between magnetic metal (such as rebar) and nonmagnetic metal (such as copper pipe). 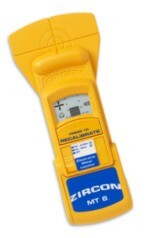 Measure moisture content of wall board, wood, concrete and other building materials to determine places of harmful mold growth or unseen water damage. Typical applications also include checking moisture of concrete slab and wood before installation of floors, determining wood moisture content during drying process, and checking wood moisture before material is used for woodworking applications. For over 50 years, Basic Blueprint Reading and Sketching has been an international best-seller, and THE definitive resource for blueprint reading. The newly revised 9th edition of Basic Blueprint Reading and Sketching continues the traditions in helping to readers achieve competence in reading and sketching technical drawings. "An indispensable guide for homeowners, do-it-yourselfers, and every building professional." With over 200,000 copies sold, the Code Check Series is a handy reference that provides comprehensive information on the most up-to-date codes. The convenient size of these books and their durable, laminated, spiral-bound format enable them to withstand job-site use, with information clearly presented in hundreds of line drawings and tables. 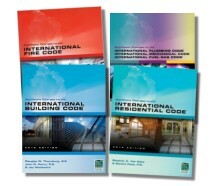 Compiled by three certified experts with over 55 years combined experience, the Code Check Series is endorsed by the International Conference of Building Officials (ICBO / ICC). >> Own the Set! 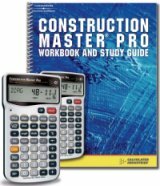 The easy-to-use course that will help you learn common construction-math principals, building techniques and acquire the skills to utilize the Construction Master Pro advanced Feet-Inch-Fraction calculator – accelerating your productivity on the job and in the classroom. You will quickly solve routine construction problems or undertake complex design and estimating challenges. A practical guide to simplified construction surveying. How to divide land, use a transit and tape to find a known point, draw an accurate survey map from your field notes, use topographic surveys, and the right way to level and set grade. You'll learn how to make a survey for any residential or commercial lot, driveway, road, or bridge – including how to figure cuts and fills and calculate excavation quantities. When construction managers need to talk about the specifics of a construction job – where the electrical outlets need to go, when the framing will be completed, how a plumbing problem will be solved – they need to be able to communicate clearly and effectively with workers. That task gets considerably more difficult when managers and workers are speaking in different languages. This is the first ANSI consensus standard on sustainable Green Building for residential construction. 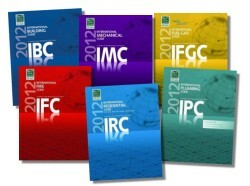 This book was written as a collaborative effort between the ICC and NAHB, and provides "green" practices and standards that can be incorporated into new homes, including multi-family buildings, home remodeling and additions, hotels and motels, and the site upon which the green buildings are located. Written by master mechanic and bestselling author Paul Dempsey, this hands-on resource covers new engine technology, electronic engine management, biodiesel fuels, and emissions controls.